We are celebrating FALL! The sun goes down earlier and the scarves have come out of their hiding spot deep in the back of the closet. 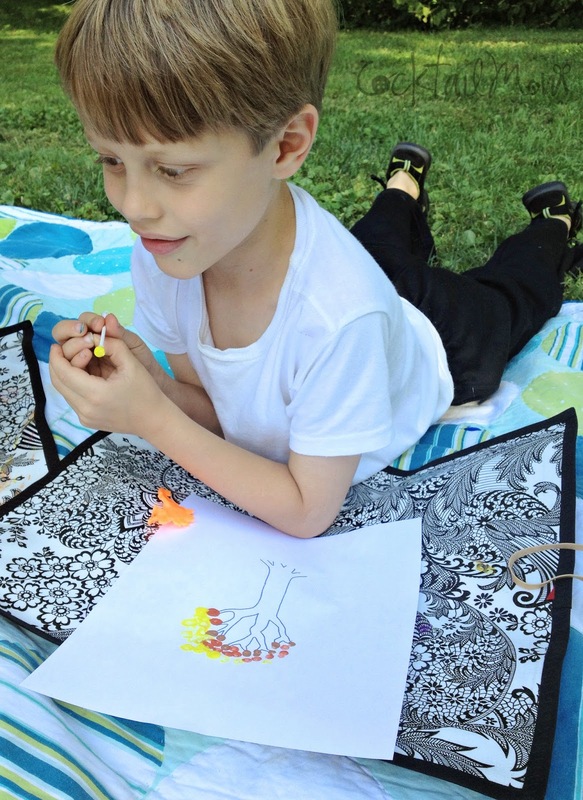 My yoga kids and I spent an afternoon creating fall tree paintings to celebrate the first day of fall. I put various acrylic paints on paper plates for everyone to share in colors that we would see the leaves on east coast trees change into and with Q tips we painted beautiful trees by dabbing dots on the paper. I printed out the base of the tree on white paper using this free printable. This is a great activity for kids from Kindergarten to third grade, it doesn't require a lot of prep and the mess is very minimal. 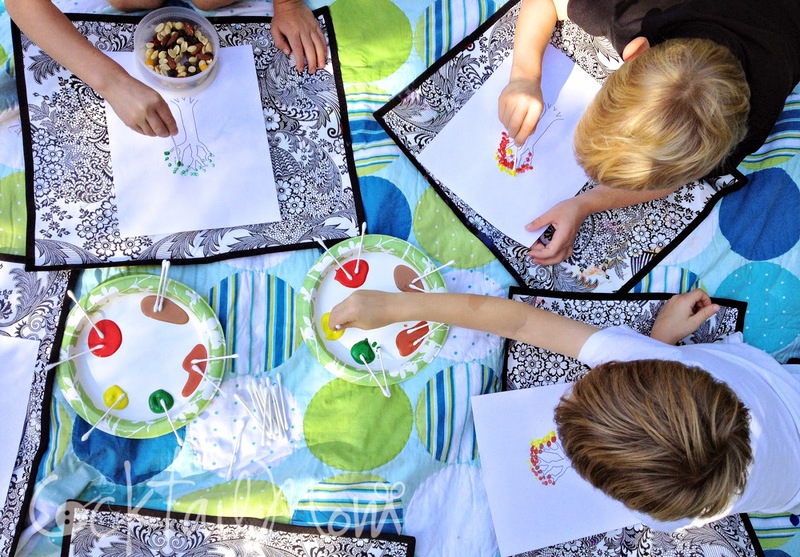 Put a blanket on the ground and take your painting outside, it's a wonderful opportunity to talk to the kids about their favorite color of leaves.